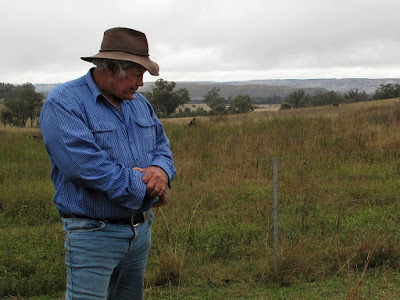 On May 25 WRVAP travelled with the NSW community collective, Our Land Our Water Our Future, to Bulga to find out first hand the nature of the threat Rio Tinto is posing to the town and the land. We were given an invaluable tour of the town and area and the opportunity to meet and hear traditional custodians of the land including Wonnarua elder Uncle Kevin Taggart, as well as Bulga residents speak about the impact of the Rio Tinto mining and expansion. As part of its campaign against an open-cut coalmine expansion, Our Land Our Water Our Future has funded and produced this video profiling Uncle Kevin. He and other custodians and Bulga residents, have been fighting for more than five years to stop the expansion by Rio Tinto. They say it will create severe noise and dust pollution, destroy a critically endangered woodland and threaten 110 registered Aboriginal cultural sites. A final decision is expected within weeks.